We offer 24 Hour Emergency Maintenance Services at all of our locations. The on call schedule changes weekly on fridays. Please check back each week to see who is currently on call. In the event that you have trouble reaching our office phone lines (in the event of an unforseen outage), please call our office cell phone 607-426-9107. Thank you. Our office is located at 815 W. Broad Street, Horseheads N.Y. 14845 The office is open MONDAY THRU FRIDAY 8 A.M. THRU 4:30 P.M. We are available on weekends by appointment. Please call 607-739-3838 today! Yes! We accept online payments for most of our locations, please click "Make Payment" in the upper right hand corner of our home page and it will bring you to the a secure link where you can send payments directly to us via ACH, or credit card. Please see the payment website for any applicable fees that may apply. How Do I File a Maintenance Request? You may file a request by either calling our office during our office hours or by completing the Maintenance Request Form at the top of our webpage. All Maintenance Requests will be addressed within 24 Hours - We also offer Emergency Maintenance Service at all of our locations. 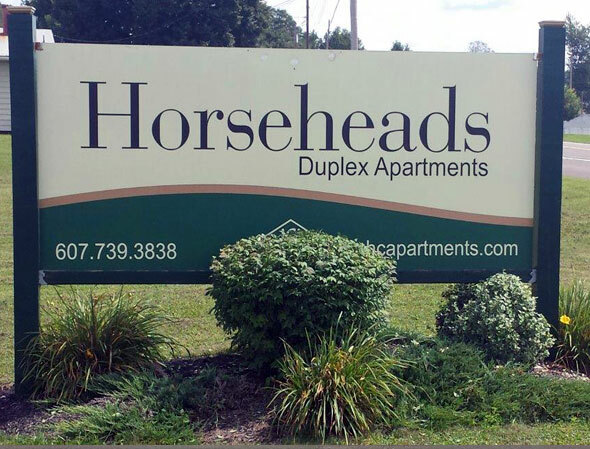 Luxury one and two bedroom units tucked away in the Village of Horseheads. 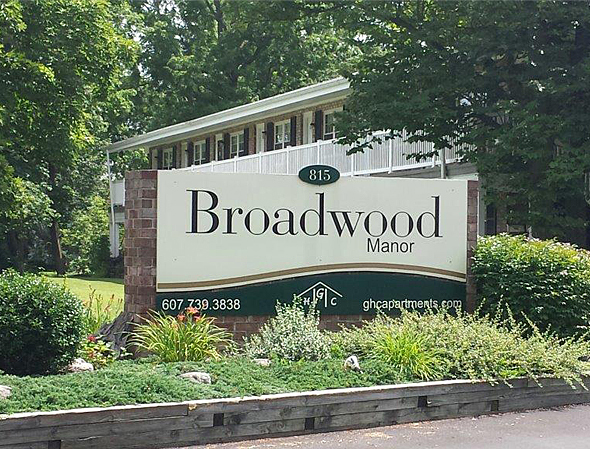 Less than ï¿½ mile to Interstate 86 this complex offers the tranquility of care-free living with modern luxuries. 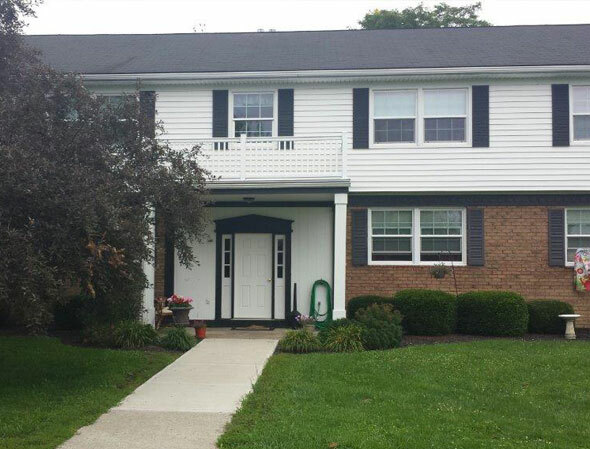 Located in the Village of Elmira Heights, within walking distance to restaurants and shops these spacious two story homes provide six (6) distinct apartments. 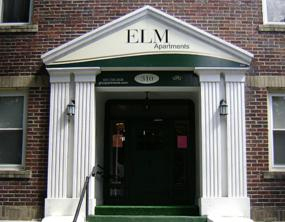 This apartment house provides seven distinctive one (1) bedroom units. 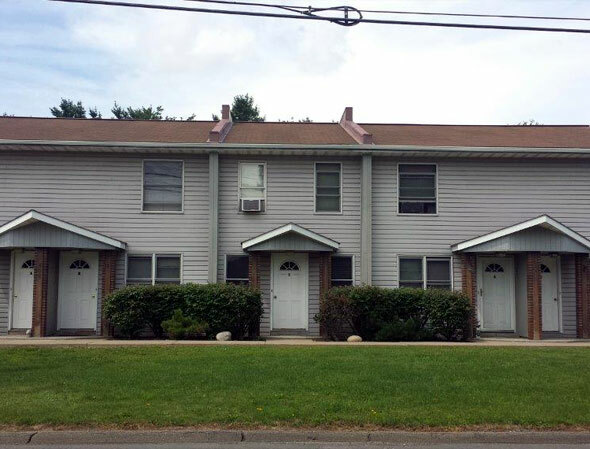 It is conveniently located on the North side of Elmira, close to downtown and within walking distance to Elmira College and local restaurants. 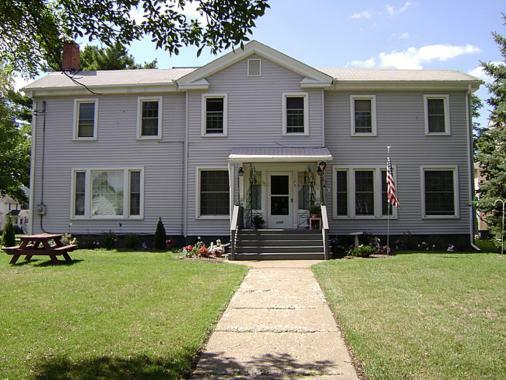 This historic apartment building is conveniently located on Elmira's Westside, situated near the intersection of Walnut and West Church Street. Set among a quiet residential neighborhood these one, two and three bedroom duplexes were the first apartments built by our company. 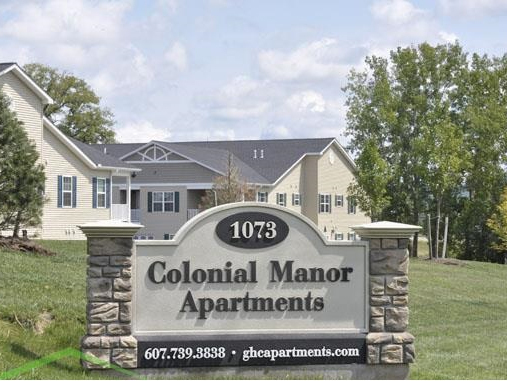 They offer residents a single family home life style, with the luxuries of apartment living. 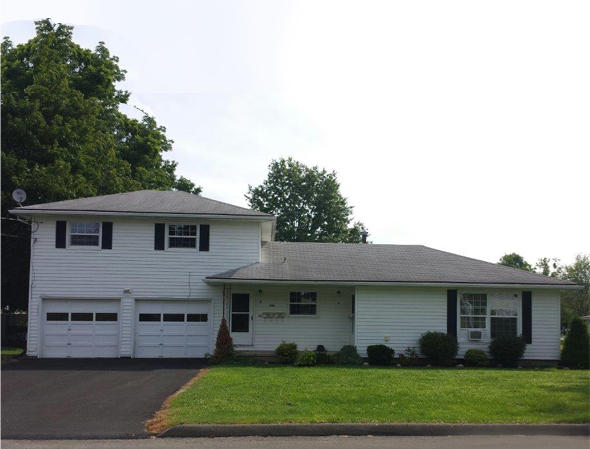 Situated at the top of Lovell Avenue in West Elmira, this serene housing development offers twenty (20) single family duplexes. 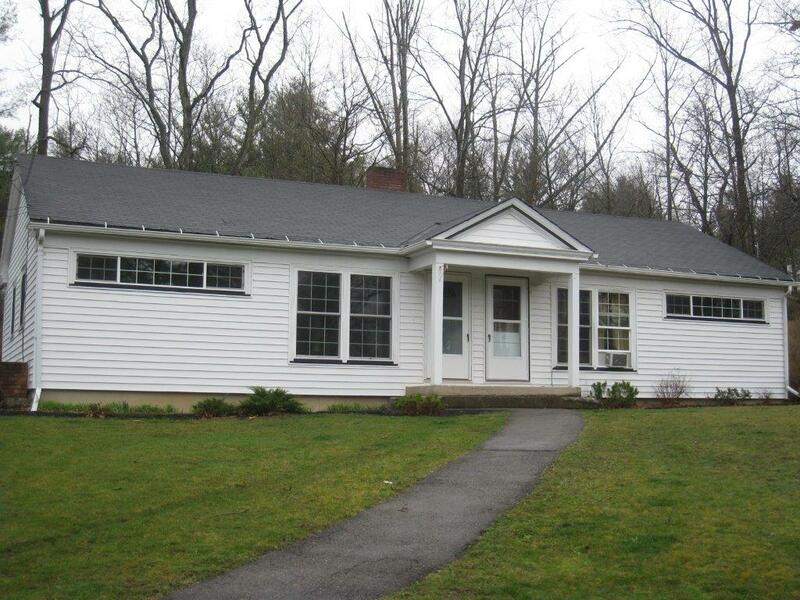 These homes have beautiful landscaping allowing the residents to enjoy the beautiful hills of Chemung County. This is perfect home for someone who enjoys being in a small community and desires to be within walking distance to everything. 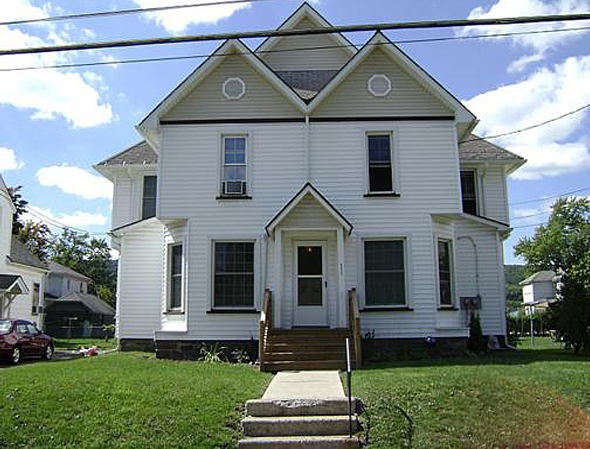 Set on an upper hill in the Village of Horseheads, this beautiful building is privately positioned at the end of a cul-de-sac on Miller Street. 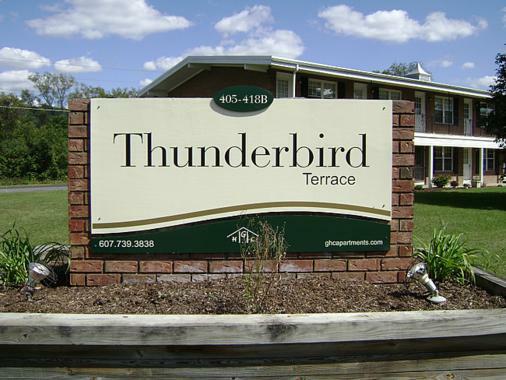 These thirteen (13) one and two bedroom units provide tenants with a peaceful home setting that is close to everything. 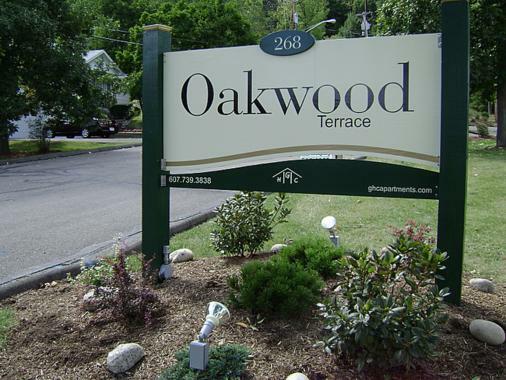 Oakwood Terrace has all one bedroom apartments and is located on a hillside in the quaint Village of Elmira Heights. A four unit complex located in the Big Flats Suburban Acres Development, these two (2) bedroom units are the perfect place to call home. 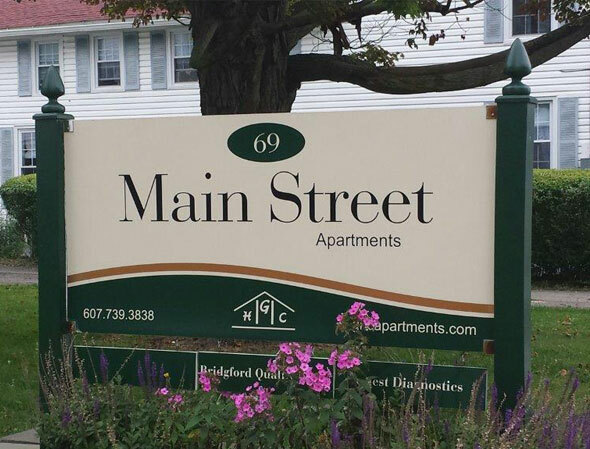 Two bedroom apartment town homes conveniently located in the Village of Horseheads. 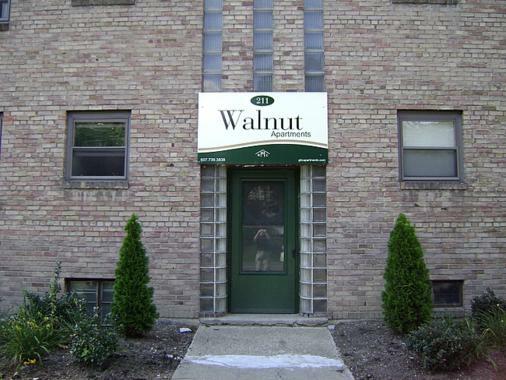 This remarkable apartment building is centrally located on Elmira's Westside, situated on the corner of Walnut and West Church Streets. 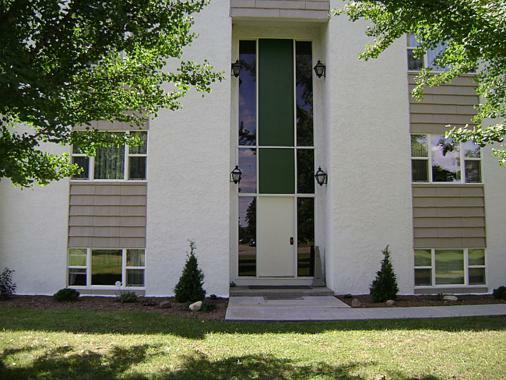 The building features fourteen (14) delightful one and two bedroom apartments.